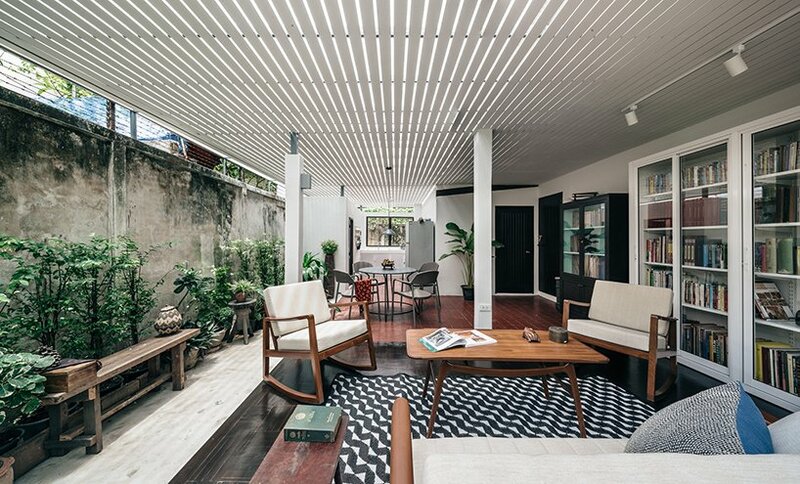 the new project of thailand-based architect skarn chaiyawat is a renovation of a rear part of a typical thai house built in the 50s, currently owned by a historian. 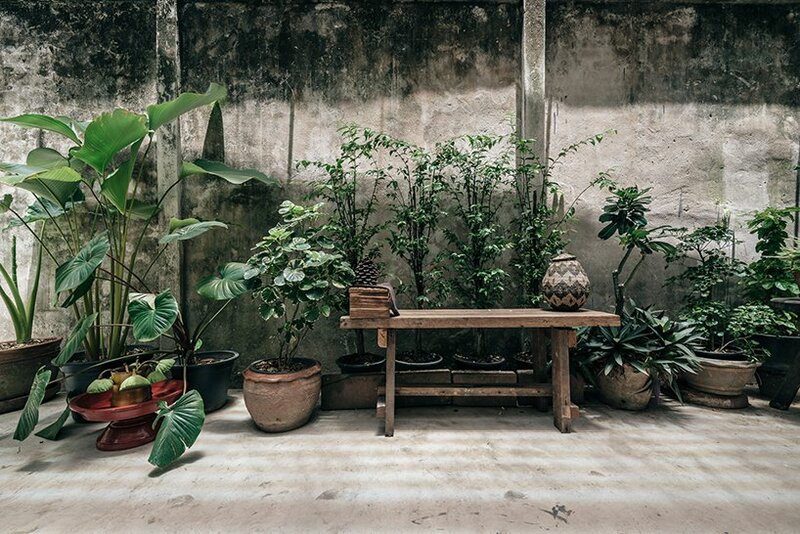 originally, the space was used mainly as a book storage with a small kitchen, toilet and dining area. 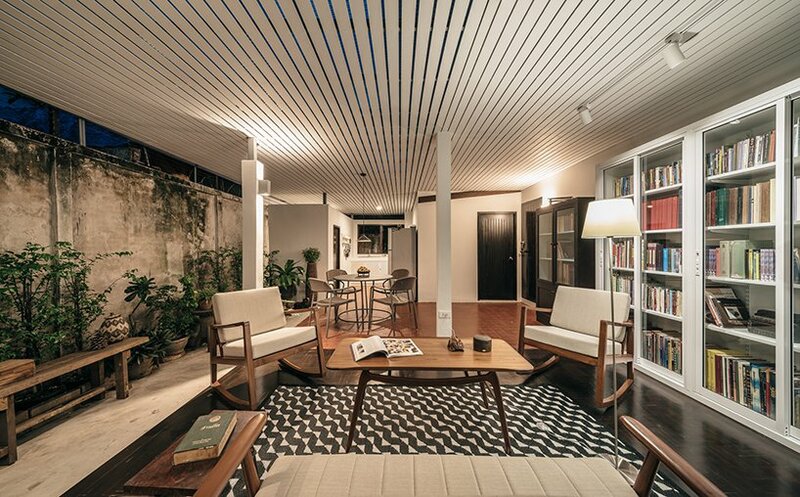 the height of the sloped ceiling was lower than 2.2 meters, and the lack of openings to the exterior resulted in a dark, untidy and uncomfortable space. 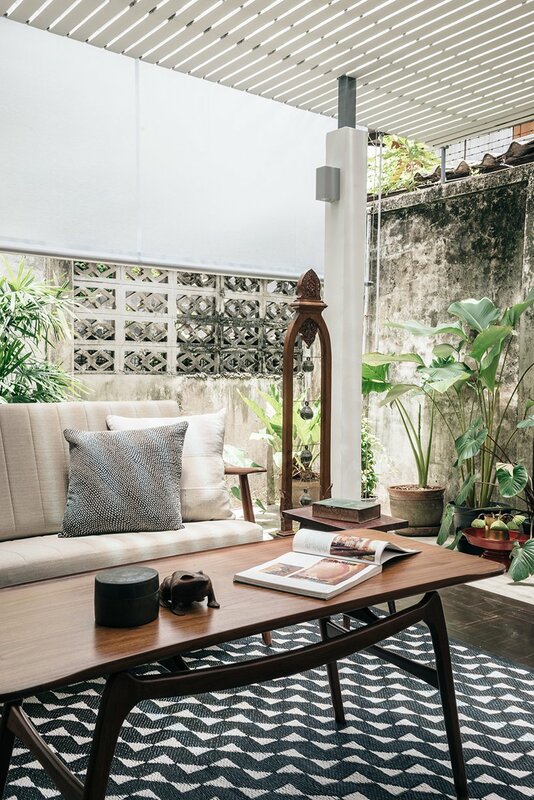 inspired by the owner’s hobby of collecting books, the project aims to provide a serene and cozy living space with an appropriate amount of natural light for reading throughout the day. 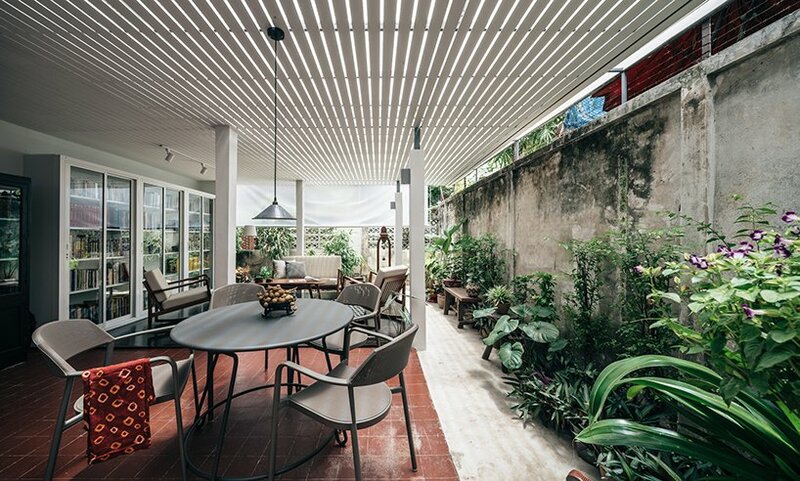 the overarching idea of chaiyawat’s project is focused on demolishing the existing sloped roof and ceiling, and replacing them with a new translucent artificial wood lath at 2.45 meters height to give a more comfortable feeling to the space. 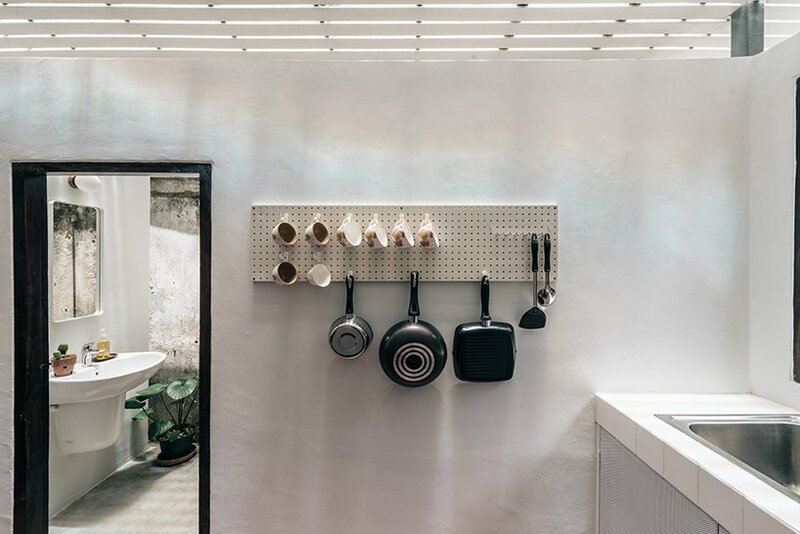 as the architect decided to raise the height of the ceiling, the neighboring spaces — the bathroom and kitchen — provide natural ventilation. 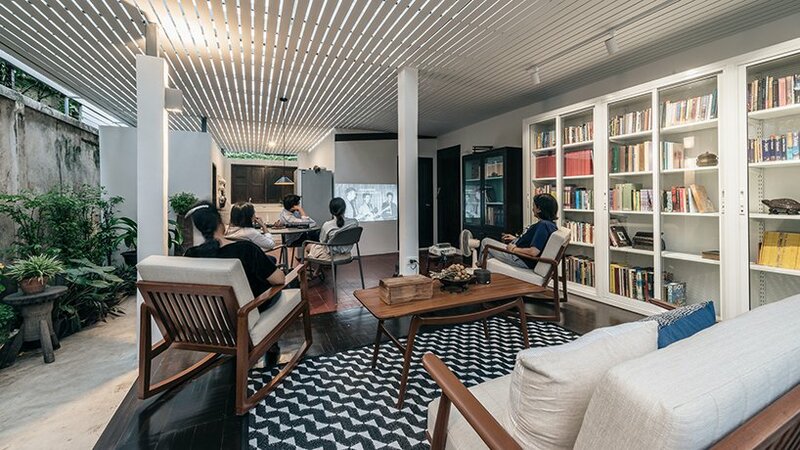 due to the limited budget, the architect tried to reuse as much of the existing materials as possible in the new space. 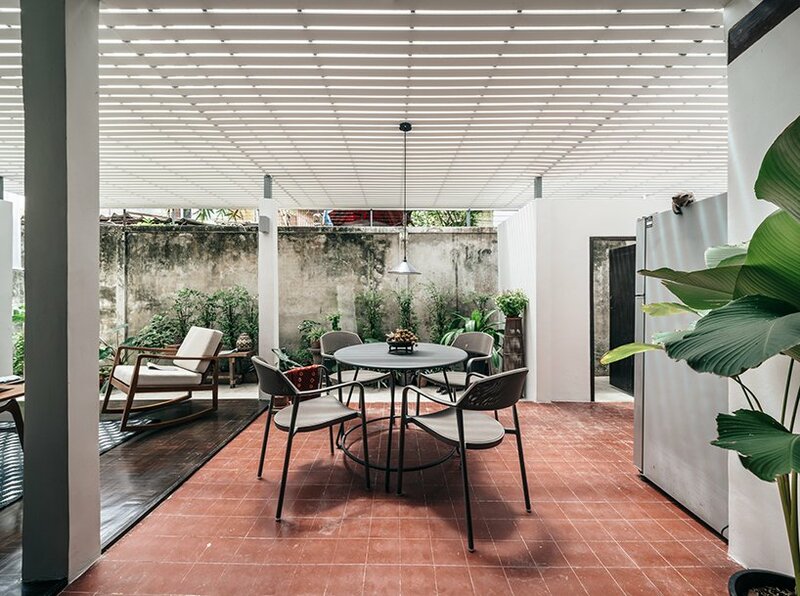 by keeping the existing red concrete floor in the dining and kitchen area and creating a new parquet floor in the living area, he visually separated the functions in the small space, without the need of vertical barriers. 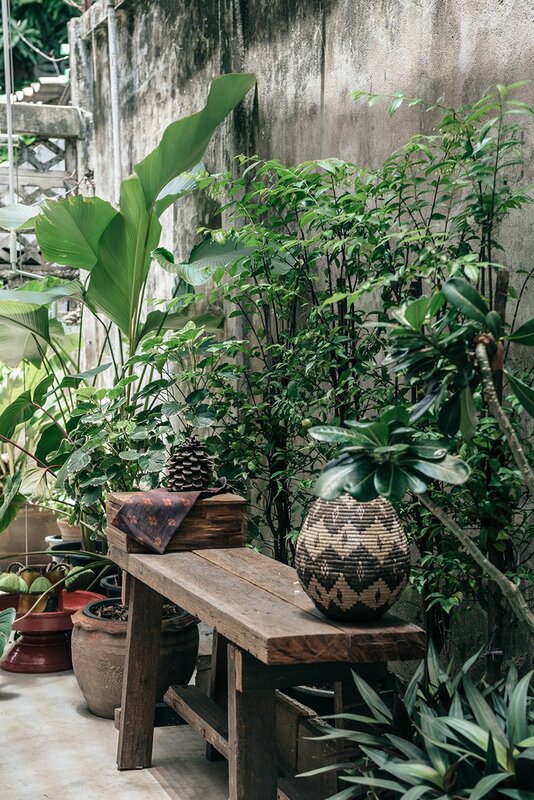 the floor is a combination of different sizes and colors parquet collected from all over the house.